Correct. 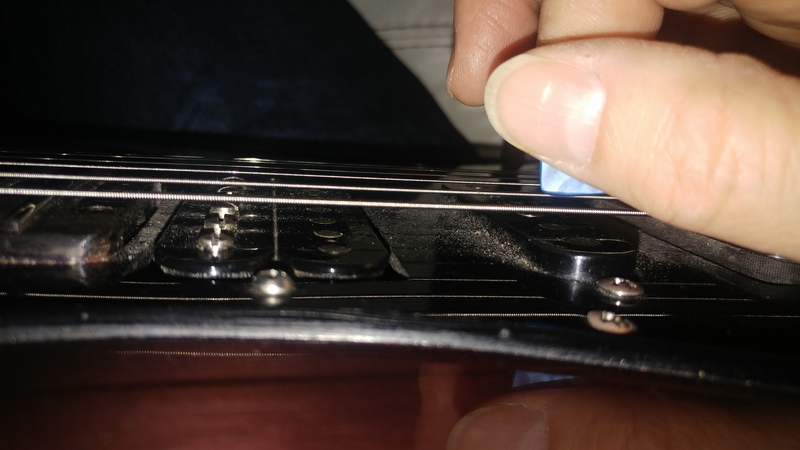 You are changing the pickslant when you do this - but this is not really the best angle to view this from because you can’t see your picking motion or the string plane from this perspective. A down-the-strings view would be more helpful, because you’re a wrist player and your motion is more visible that way. Or, of course, by feel. Again, the pickslant matches the motion. Double escape needs no pickslant. Downstroke escape needs uwps, and upstroke escape needs dwps. What i am talking about here is if the pick points more towards the bridge, direct to strings, or more towards the neck regardless of the slant. I know what you mean and exactly which part of the conversation you are referencing. When you view what you are doing from down the strings, you will see that these changes you are making are changing the pickslant. Yes they affect multiple axes because your arm approach angle is diagonal, so you are dealing in three dimensions. But the relationship that matters is the relationship between the pickslant and the pick’s path of motion. This is what pickslanting does - it equalizes the attack of a the downstroke versus the upstroke based on the motion you are making. You are using an extended wrist setup. This is the same setup Andy Wood and Molly Tuttle use. With a 90 degree point you will have an upward pickslant. Molly uses a negative pick point to get rid of that and have zero effective pickslant. Three dimensions - they’re complicated! At 39:31 and at 39:32 you say “That’s tricky” So it is not something which is usaly done because of your reaction i guess. I can do this regardless if am slanting downward or upward. So it does not change my slant. Your pickslant is different in the two photographs you posted. If you film down the strings in Magnet view, you will see this. It might not be dramatically different, but it is different enough to change the balance of upstroke vs downstroke attack, which is why you feel a difference in attack when you make these changes. So it is not something which is usaly done because of your reaction i guess. Trying to re-point the pick in the middle of a phrase by turning it is not a thing players appear to do, which is why I said that. But I don’t think this is what Martin is doing, specifically. He has a straighter index grip and a more trigger index grip. We talked about this explicitly. He perceives this as changing the pick point but he’s actually changing his whole grip around. The trick is this doesn’t really change the motion, which is why we laughed about it when we saw that. What Martin calls “pickslanting” isn’t pickslanting - he’s still making a similar motion. He’s just doing it with a more trigger style grip. Martin’s picking motion is deeply burned into his technique. It’s mainly the fastest speeds where he uses the more elbow / wrist style of motions. For everything else, it’s some variation on his usual double escape (if we can call it that) technique. Very interesting how even Martin himself is not fully aware of what he is actualy doing. It is all very complicated indeed! I believe Martin is doing a more upward slant when shredding supposed to the crosspicking position with the more extened indexfinger though, or am i wrong? Here is two more pics of the pick pointing towards the neck with down and upward slant. I get it now. It seems i always did this. When i am actually playing without thinking about it i bend my thumb more so the pick is more on the side of the indexfinger. But when i closely look the point still points a bit towards the neck. When i have my thumb more straight together with the indexfinger it is just more obvious. When you alter your grip that way in that last photo, you’re using what we’ve called a “pressed grip”, and we can credit to Teemu for figuring out that interaction, which he explained in our first interview with him. The interaction of all these variables is definitely complicated. The simplest way to keep this straight is to separate what affects the attack versus where the motion actually comes from. The last photo is a great illustration of this. There are lots of players who hold the pick this way, see the “slant”, and think, “aha, I’m doing downward pickslanting!” But then they make a parallel / trapped picking motion and don’t understand why they’re not getting any string switching benefit. If we can at least communicate the difference between these two basic concepts - grip and motion - then that will probably help a lot of people. I watched the whole Teemu interview now, what a good player he is! All those idiots who clame that when you have to much technique and knowledge your playing will loose soul and feel should be forced to listen to the outro solo! Can anyone tell me if Martin is hitting the string with the trailing or leading edge of the pick during his downstroke? it doesnt look like he uses a lot of edge picking angle etc. From what i understand in interview he is holding about this. The tip of the pick is a bit pointed towards the neck. It would be great to have footage from the players point of view. Sorry to reopen an old thread but I had some question on Martin’s 2WPS form. it seems he uses more of an extended trigger pick grip instead of the angle pad grip that he uses when Crosspicking. Wrist Motion (Some Type of Deviation) combined with Elbow. Is it mainly Elbow or mainly wrist? If it’s wrist movement then along what axis is it (2 o clock, 3 o clock, or 9 o clock)? I see the Rotational Movement for Inside String Changes. When Martin goes into this mode of playing is he pronated or supinated? Do the contacts points on his hand change? (For Crosspicking he uses the Ulnar side while Supinated allowing string muting). I also noticed Martins pick angle is quite parallel to the strings. This allows the pick head to quickly pass over the string with articulation. I’ve noticed the same thing. And I’ve actually spent a good amount of time trying to play more parallel, and I’ve found it leads to better reliability and speed for really complex phrases. But then I see Troy double-escaping like he single-escapes, with a 45 degree edge, and he seems to pull it off fine. 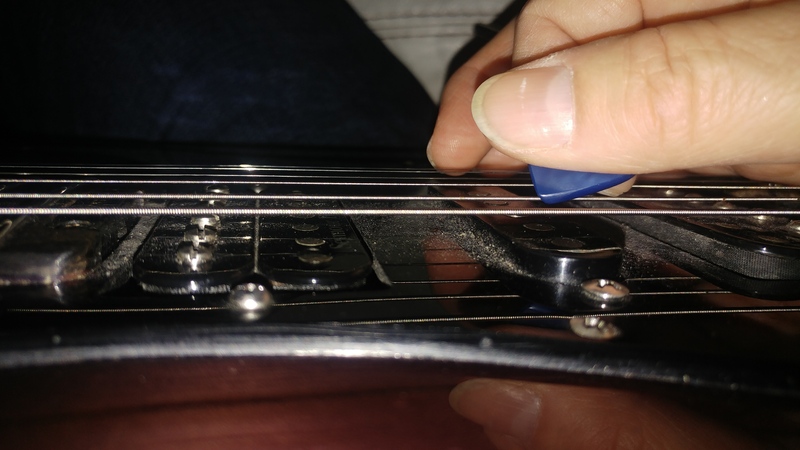 Pick angle as in Edge picking or the amount of pick lean that was previously called DWPS/UWPS? The MP mechanic is the one mechanic that I mainly use for Crosspicking and I find that having the pick with no angle helps. So 90° on the Pick Lean, and the pick neutrally slanted: Martin suggests this as well. I think it is so that the double Escape motion can be centered and symmetrical on both sides (not having one sides motion being bigger than the other). I pretty much copied his hand, grip and pick position exactly and that’s how I’ve had the most success. Loose, extended finger angle pad grip (although sometimes I do the same with an extended trigger grip- and that seems to be what I switch to when I use 2WPS wrist motions), and contact on the Pinky heel of the hand (not the knife edge). My pinky sometimes does a soft anchor (it will slide as I String track) but other times they are loosely curled and raised (maybe this depends on how much hybrid picking I am using that day). I meant edge-picking. I’m trying to get away from the DWPS/UWPS terminology, because it can sometimes be a bit miss-leading. And yes, I agree about his grip being very nice for double-escaping, and the importance of symmetry. As far as pinky contact, I am purely a glider, but I’ve seen plenty of pinky anchoring in the world of double-escaping.